Soft peanut butter cookies filled with butterscotch chips and finished with a sprinkle of sea salt. Sweet, salty and absolutely perfect! If there was ever a time to get excited about a peanut butter cookie, THIS IS IT! 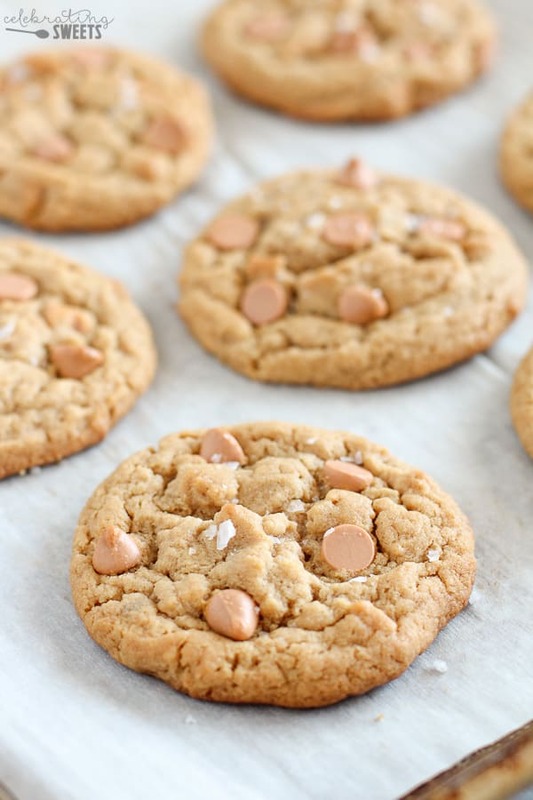 Oh my gosh, you guys – these Peanut Butter Butterscotch Cookies are to die for. This here is your warning. 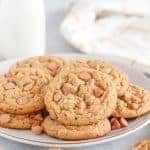 Prepare to lick beaters, nibble bites of dough from the bowl, and consume every last crumb of this peanut buttery-butterscotch goodness. You know I love cookies – M&M Cookies – Trail Mix Cookies – Coffee Toffee Cookies – Cookie Pie! 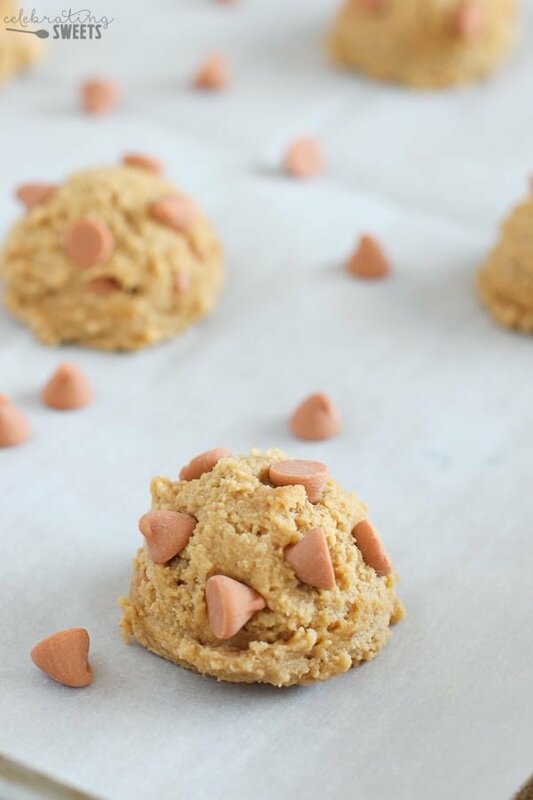 But, I would venture to say that these Peanut Butter Butterscotch Cookies have shot to the top of my list. I can’t wait for you to taste them. There are a few things that set this cookie recipe apart from other peanut butter cookies I have had. These cookies are loaded with peanut butter flavor. No bland barely-there peanut butter in here. Sweet and salty peanut buttery goodness in every single bite. Brown sugar, and lots of it. The combo of peanut butter and brown sugar is a match made in heaven. 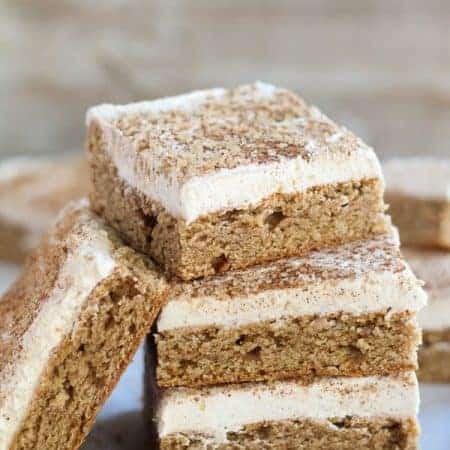 I like to use more brown sugar than white in this recipe to ensure a soft, tender, perfectly sweet cookie. Salt! This is the key. Sprinkle the top of these cookies with a little sea salt right after they come out of the oven. 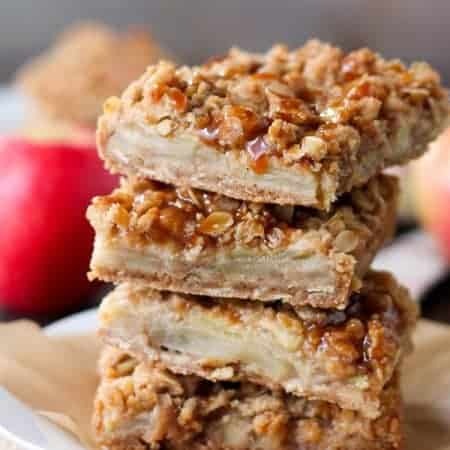 This creates a salty-sweet balance that will make you swoon with every bite. Butterscotch Chips! Duh, why had I never thought of this before? Butterscotch chips aren’t just for oatmeal cookies, they are a tasty complement to peanut butter, and they take these cookies over the top! Note: These are my favorite butterscotch chips. Butter should be softened just slightly. Not just about to melt and not so soft that it’s lost shape. You should be able to lightly press your finger into it and it should mostly hold shape. An hour or two at room temp is usually all I need. Butter that is too soft makes cookies that spread thin. If you accidentally over-soften your butter, proceed with the recipe but refrigerate the dough for 1 hour. 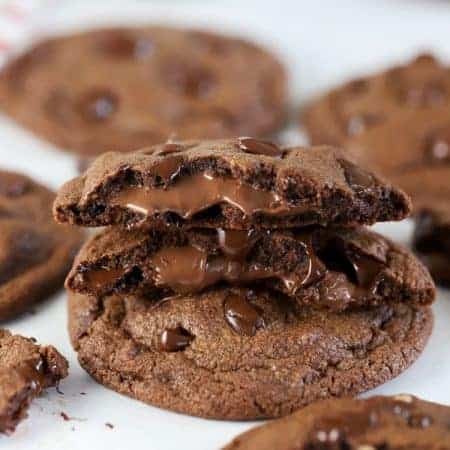 Do NOT overbake your cookies. I can’t stress this enough. When you remove the cookie sheet from the oven, the cookies should be slightly underdone in the very center. The cookies will continue to cook as they sit on the baking sheet. Cookies need salt! We don’t want our cookies to be salty, but we want enough salt to balance the sweetness. 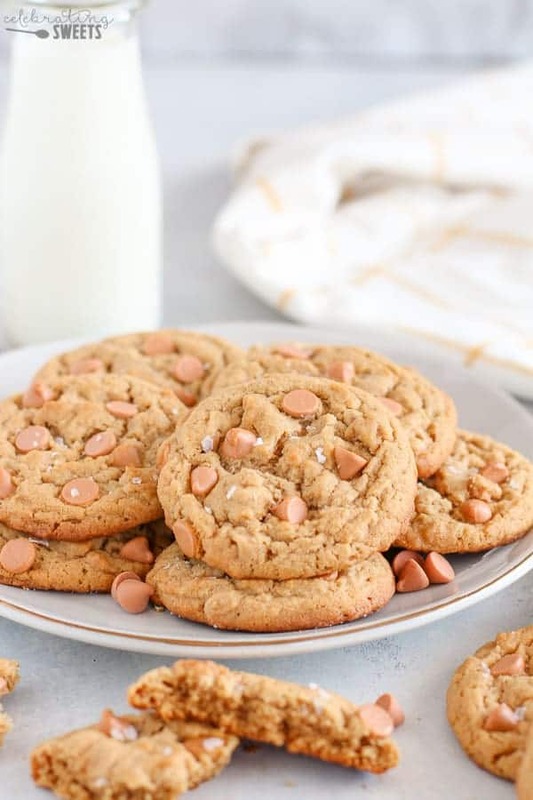 Butterscotch chips are very, very sweet, so salt is absolutely necessary to create a well rounded flavor for these cookies. There is a little salt in the cookie dough, as well as additional salt sprinkled on top after baking. Flaky Maldon Sea Salt is my absolute favorite for finishing these cookies, but regular sea salt works fine, too. Prefer chocolate chips instead of butterscotch chips? Go for it! I’m thinking just about any “chip” would be good in here (dark chocolate, white chocolate, peanut butter). In a medium bowl, combine flour, baking powder, baking soda and salt and set side. In a large bowl, using a hand mixer or stand mixer, beat butter and peanut butter until smooth and combined. Add both sugars and beat to combine. Beat in egg and vanilla extract. Add the flour mixture all at once and beat until just combined. Stir in about 2/3 cup of butterscotch chips (reserving the rest for topping the cookies). Scoop the dough into balls (I use a 1 1/2 tablespoon scoop), and place a couple inches apart on the prepared baking sheets. Press a few of remaining butterscotch chips on top of the dough balls. Bake for 8-11 minutes, until the edges are light golden brown, but the center is still slightly underdone. Immediately sprinkle with sea salt, and place the sheets on wire racks to cool. Repeat with remaining dough, allowing the cookie sheets to cool COMPLETELY before placing dough on them. I made them using Cup4Cup Gluten free flour and they came out just fine! Love, love, love this cookie recipe. 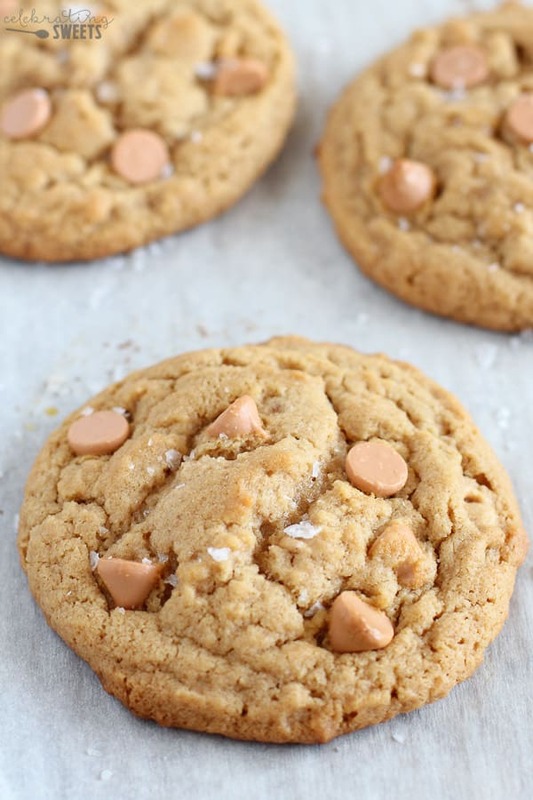 The combination of a peanut butter cookie + sweet butterscotch chips + sea salt makes a flavorful cookie. 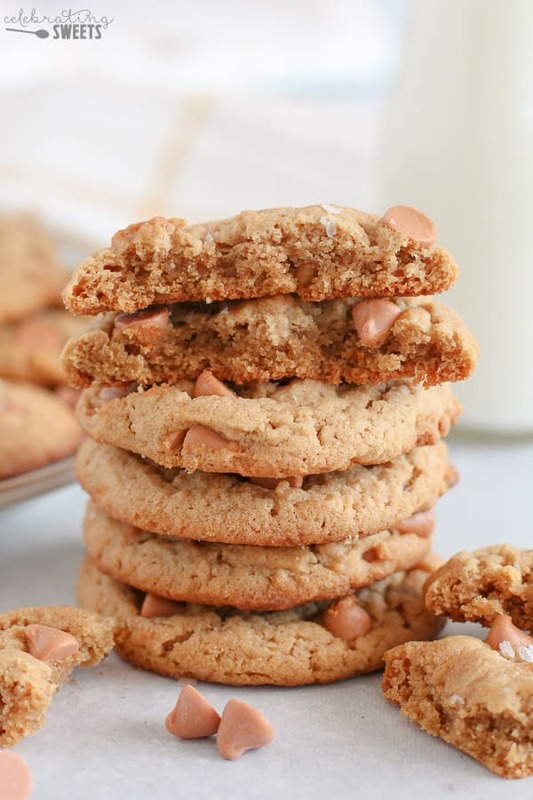 My husband doesn’t like peanut butter cookies but loved this one with the butterscotch chips. Give it a try! Delicious! A lovely change-up from the norm. Rich and sweet and that touch of salt nails the combo. Definitely chill the dough and, if you roll it into tight balls without pressing down on them, they bake up much puffier and don’t flatten as they cool. Stupendous recipe! I’m glad you enjoyed them, Lauren. Thanks for stopping by!